Download these pretty FREE Printable 4th of July Coloring Pages for your kids or for guests at your Independence Day party! Hey everyone! 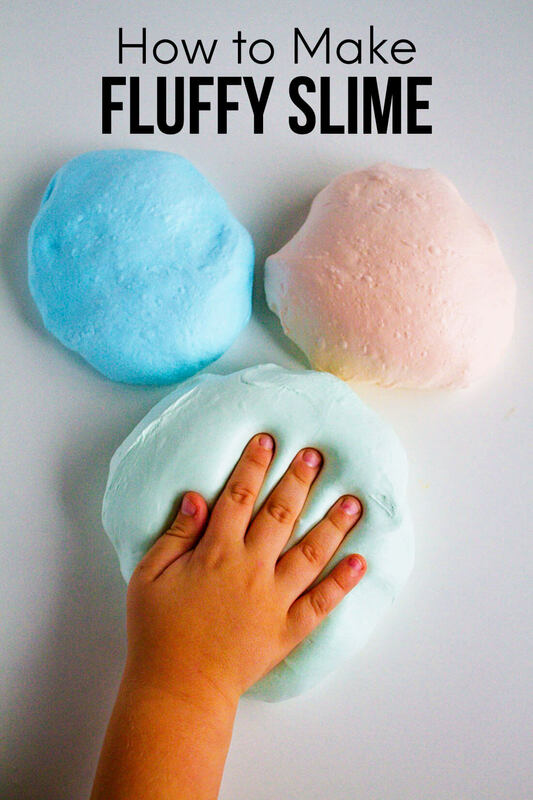 Erin here from Printable Crush with another great FREE Printable! You’ve probably noticed by now that I have an obsession with Coloring Pages, and creating holiday themed pages is my FAVORITE thing. I wanted to make this Fourth of July Coloring Page unique so you could use it all year long, but I think you’ll definitely want to print this out for your Fourth of July celebrations, too! I chose “Land that I Love” for this quote because it’s versatile, but it also reminds me of the time my high school choir sang “God Bless America” to some World War II Veterans for Memorial Day. I’m not usually a fan of the song, but there was literally not a dry eye in the audience (or choir) when we finished. So it will always hold a special place in my heart and I wanted to share it with you. Along with being obsessed with coloring pages, I have a problem with hoarding markers, colored pencils, and watercolors. That’s what I love about printing out individual coloring pages…you can use whatever medium you like! Of course, my favorite markers are the Tombow Dual Brush Pens. If you get the blending kit, you can also create a watercolor effect, which is SO cool. 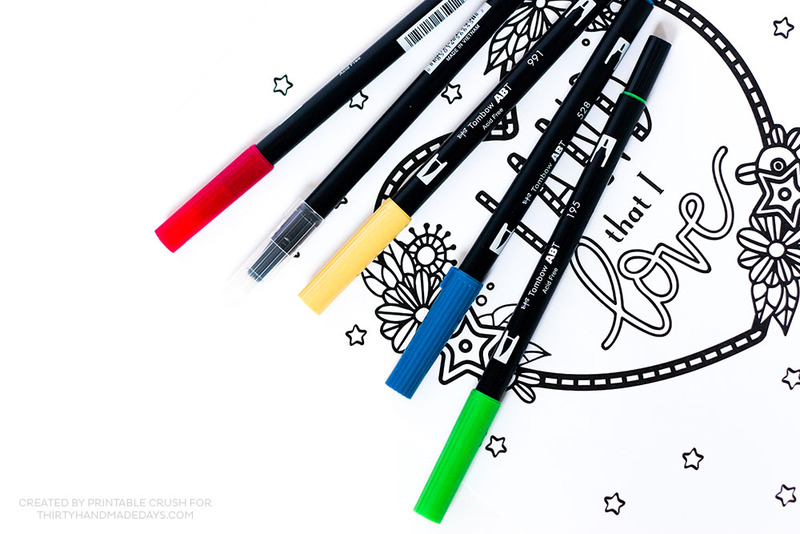 I also love Tombow’s Irojten Coloring Pencils. 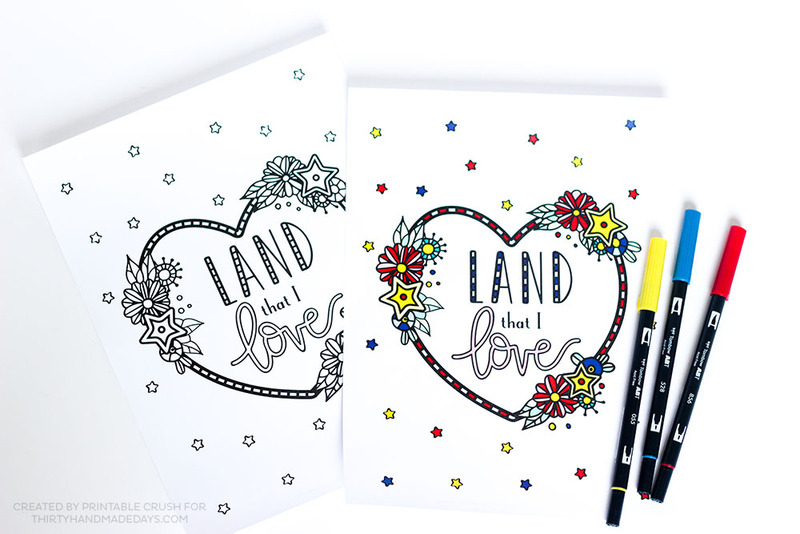 You can see those on my post for a free printable summer coloring page. Other great brands are Prismacolor and Copic. I also really love my Kuretake watercolor set. The best way to find a marker or pencil you like is to just try some out. I always get the smaller kits from Amazon and if I like them, I order more. Amazon can be a wonderful (but dangerous) thing, right? You can find plenty of free printable coloring pages online to try everything out, or you can purchase some sets from my shop. All my pages are hand drawn and lettered, then digitized in Adobe Illustrator, so each one is unique. 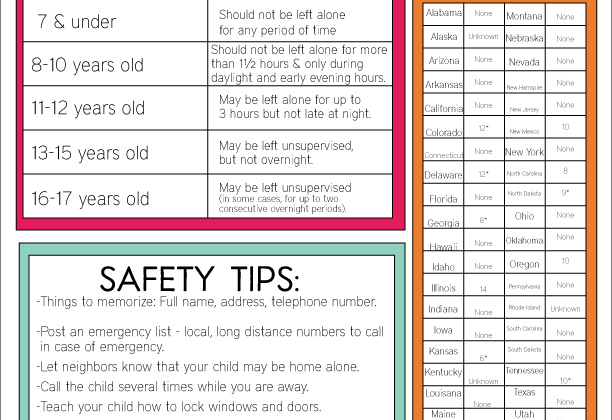 Plus, they’re digital, so you can print them out as much as you like…pretty handy for when you mess up! One thing I like to do with coloring pages, is place them at the table before the food is served. 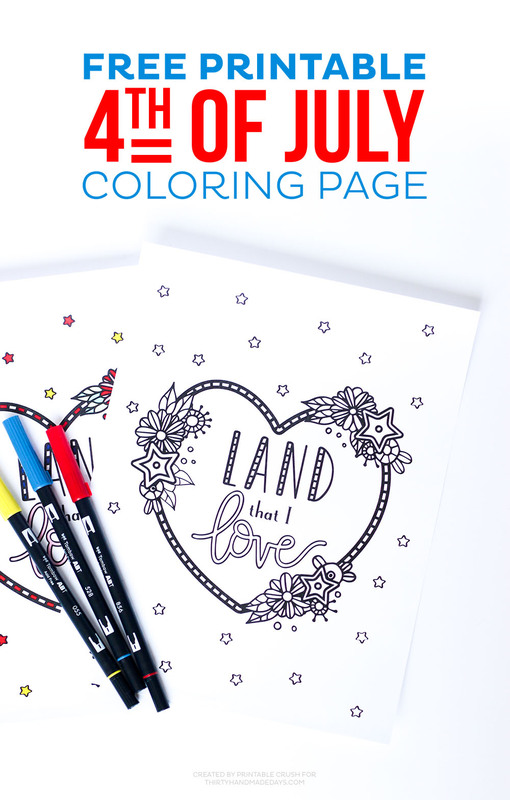 Not only is this Fourth of July Coloring Page beautiful, but it will help pass the time! Because waiting for food on the Fourth of July is pretty much torture. Can’t wait for some apple pie!! 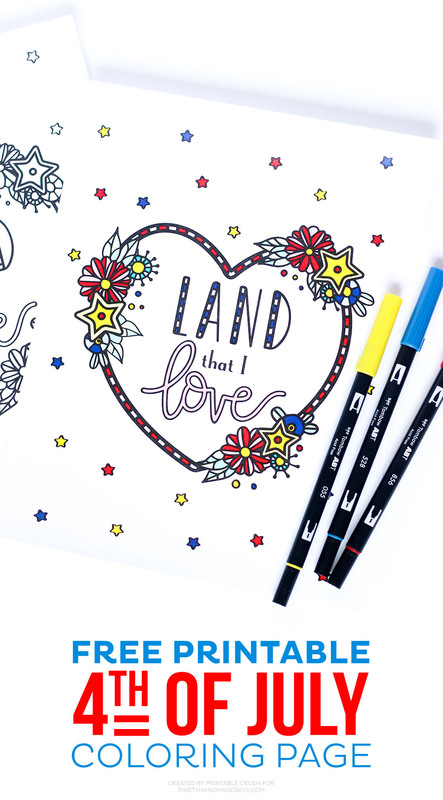 If you liked this printable coloring page, check out my other coloring pages and my hand lettered FREE Fourth of July Printables! Thank you! This has always been my most favorite patriotic song! God bless America!